Mukta Arts Ltd, which has films like "Karz", "Ram Lakhan", "Karma", "Khalnayak", "Taal", "Pardes" and "Aitraaz" to its credit, announced three new big-budget movies for 2011 to mark its 32nd anniversary. 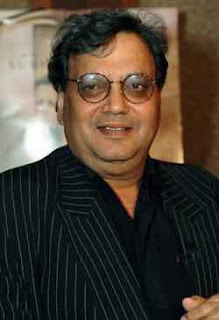 The films will be directed by Subhash Ghai, Abbas Mastan and Priyadarshan. "I have a few gurus whom I learned film making from, one of the prominent teachers of mine has been Subhashji and my text book of entertaining and visual cinema comes from his films. It's a great honour for me that I have been chosen as one of the directors to direct a film for him. It is a great responsibility, excitement and a big water mark for my career and I believe I can do justice to the film," said Priyadarshan in a statement. Director duo Abbas-Mastan shared his sentiments. "Firstly, we would like to congratulate Subhash Ghai on the 32nd anniversary of Mukta Arts. We have a very long association with Subhashji and are very happy to be associated with him once again. We will be starting the film for Mukta Arts in 2011. It is titled 'Garjann' and is a fast paced thriller," they said. The production house will complete its 32 years Thursday.